"In order to achieve the best possible web search accuracy and performance, Google tracks the most important ranking signals, such as keywords, the language used and the current ranking of the web page. However, you can’t make a fixed list of factors that affect search results the same way on every occasion – they are case-by-case"
The first day of the eighth annual DIDS conference for 2017, organised by the Serbian National Internet Domain Registry Foundation (RNIDS), was devoted to uncovering the secrets of the Internet search machinery, most often personified in Google. 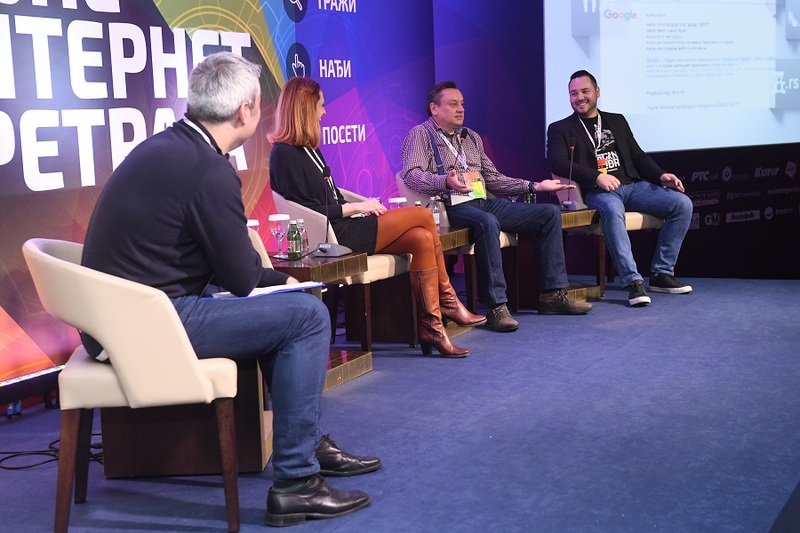 The slogan for this year’s DIDS was “Internet Search Secrets: Search, Find, Visit“, with the all-day programme at the Metropol Palace Hotel on 7th March attended by 400 visitors at the venue, but also watched by more than 5,600 people via the online stream. In the first segment of the DIDS programme, titled From Google’s Angle, the audience heard from Gary Illyes, webmaster trends analyst with Google Inc. Illyes spoke from his years of experience in developing organic search and internationalising the services of this giant of the ICT industry, noting that Google’s goal was to display the content that is most relevant to users around the world, according to their location, which usually means content in the local language. For example, to a user searching the Serbian Cyrillic .СРБ domain. “In order to achieve the best possible web search accuracy and performance, Google tracks the most important ranking signals, such as keywords, the language used and the current ranking of the web page. However, you can’t make a fixed list of factors that affect search results the same way on every occasion – they are case-by-case,” said Illyes. Webmaster Trends Analyst, Google Inc.
A deepdive into Google’s internationalization and geotargeting algorithms, their effects on users, and how you can influence them. Advertisements are no longer enough. For people to find you you need to be right in front of them, just when they need you, offering them just what they need. Modern marketing is “Moments Marketing”. Today that is about more than just search results. It’s about branded content too. The talk will address this space, and this approach to feeding the search machine. The deus ex machina is a literary device whereby a foreign element is introduced into a story in order to change its course. In the case of the Internet, the “search machine” is omnipresent, involved in every aspect of our lives – and is not a foreign element by any means. The question we are interested in is how that machine functions and how it affects our stories and our lives. If the machine is not a foreign element (if we take the right attitude towards it), are you interested in how it works? How you can affect the way it works and how you can interpret the information you get from it? How you can talk to the machine in a human way, whilst talking to other humans too? These some of the questions we will try to answer. 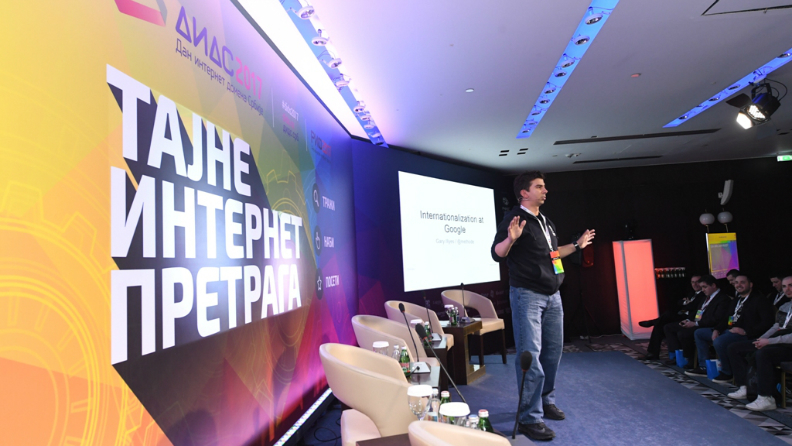 Successful sites, portals and online projects on the national .RS and .СРБ Internet domains. Gary Illyes is a webmaster trends analyst dedicated to creating a better search experience for users by helping webmasters create amazing websites. When not crunching data to find ways to improve web search, Gary is contributing to the Webmaster Central Blog and helps users debug their websites in the Google Webmaster Forums. Lazar Džamić, former Head of Brand Planning in Google’s creative think tank ZOO in London, with a personal mission to transform light into heat – the abundance of data in Google’s universe into emotional territories for big ideas. 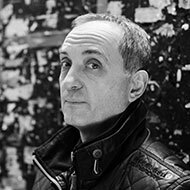 He also served as Planning Director in several London creative agencies and was one of the first digital strategists in the United Kingdom. 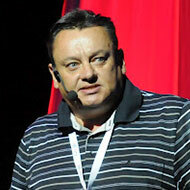 He is an author of several books and teaches digital marketing at Faculty of Media and Communications, Belgrade. 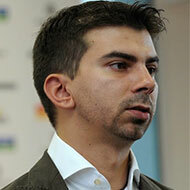 Ivan Rečević is Co-founder and CEO of Gaia Consulting and works as a Google Partners trainer. In the late 1990s he started his career by installing cables, maintaining servers, analyzing business databases and developing communication with the market through visual solutions (advertising design). Over the last twenty years his job has evolved into a new sphere known as MarTech (marketing technology). Alongside IT management, digital marketing, experimental projects and managing outsourcing companies, he loves cooking and blogging – and is somewhat better in the latter. 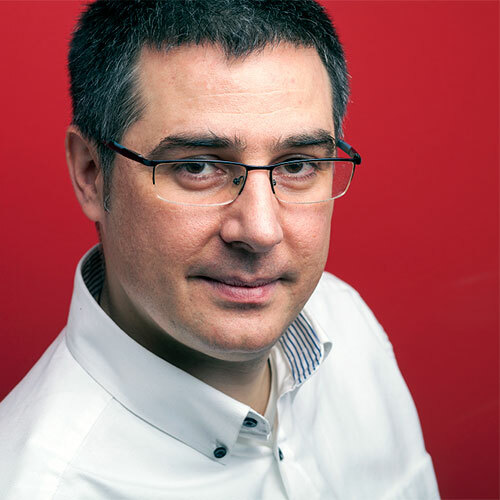 Since 2013 he has been actively involved in helping digital agencies and professionals improve the way they use Google services for their business. 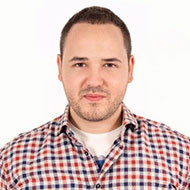 Miroslav Varga is one of only a handful of Google Adwords Certified Trainers in the Google Adriatic region. He has experience with hundreds of AdWords campaigns and has received both Google AdWords individual certification and Google Analytics IQ certification. He has two post-graduate degrees, and serves as a consultant for Escape, a Google AdWords Premier Partner, Google Analytics Certified Partner and Data Studio Certified Partner. 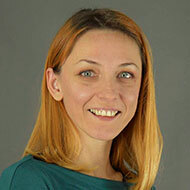 Jelena Radovanović is best known to the Serbian public as author of the blog, Može i Ovako, which is aimed at freelance web writers and bloggers. With a degree in French language, at the end of 2011 she fell in love with internet marketing and marketing content. She worked as a freelance web content creator, and then on online projects, both independently and as a partner. Since mid-2016 she has been involved in training future web writers as Co-founder of the project wwwrite.rs. 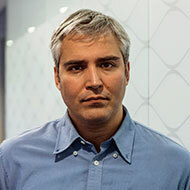 Radomir Basta is CEO and Lead SEO Strategist for Four Dots, as well as Co-founder and Product Architect for the marketing tools dibz.me, base.me and reportz.io. 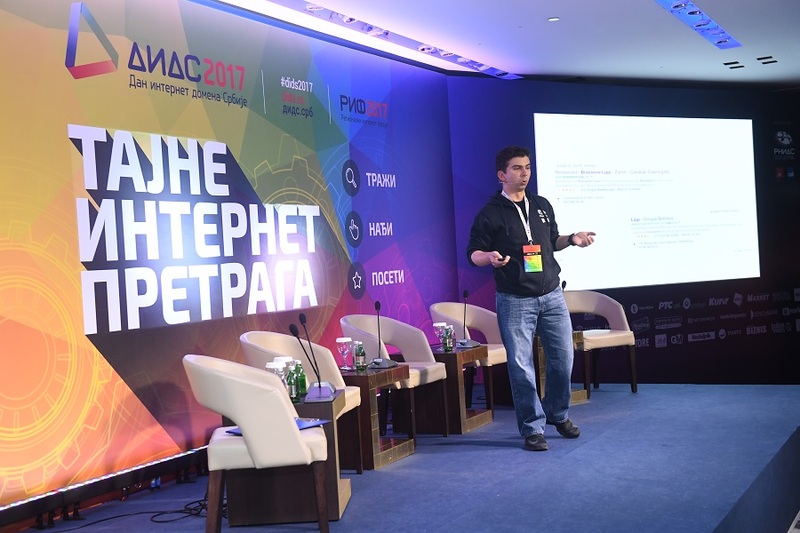 He is a frequent participant and panelist at local and regional internet marketing conferences, as well as a regular lecturer for the SEO module at the Digital Marketing Institute in Belgrade. The website Super Škola (Super School) is for schoolchildren between 5th and 8th grade, aimed at helping them learn from home, more easily and more effectively. It comprises some 700 video lessons from 4 subject areas, 1,500 exercises with step-by-step explanations, 1,300 knowledge-testing questions, consultations with Super Škola teachers, and much more. 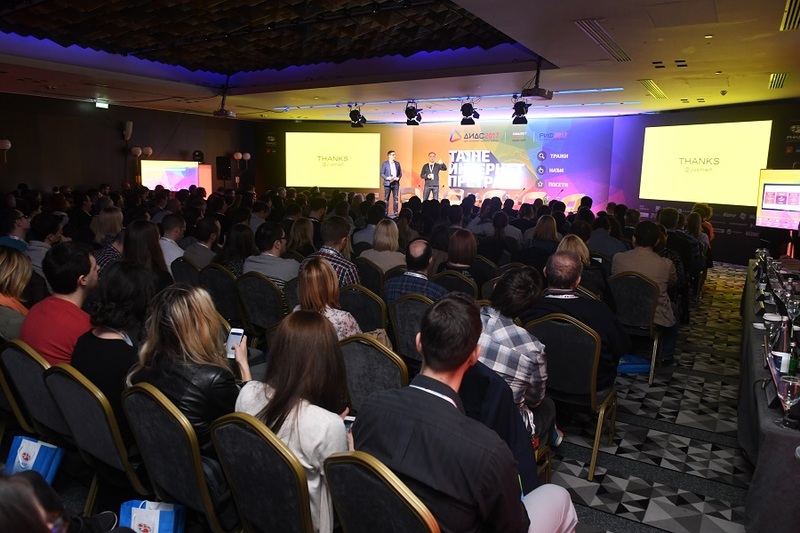 Benchmark is the most popular ICT media outlet in Serbia, which informs, educates and advises its visitors on a daily basis through a plethora of content from all areas of the IT industry and telecommunications. The primary concept is that everyone can find something for themselves, that fits their interests, needs and level of know-how. 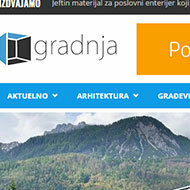 Gradnja (Construction) has been designed as a portal where professionals and any other interested parties can find out news from the world of civil engineering, architecture and design. 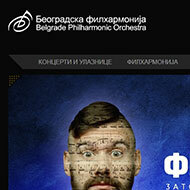 Beogradska filharmonija (Belgrade Philharmonic) site is a rare site on the .СРБ domain that seeks to bring the world of orchestra and classical music closer to the user, and to provide them with a simple way to find information about concerts and where to buy tickets. Recipient of a special award, presented by RNIDS as part of the PC Press Top 50 awards for 2016. 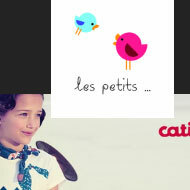 The site came about purely out of a love for children and children’s fashion. 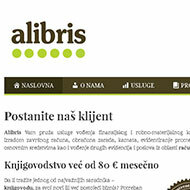 It operates as a web store, accessible all over Serbia and around the region. Apart from commercial content, a variety of general topics relating to children can be found on the blog. Appointments can be booked and questions about dental problems asked on the site of Moja Zubarka dental surgery. Patients are encouraged to use the website with a 10% discount applied for online appointments and a free first check-up. The website of Alibris accountancy bureau provides free advice to visitors, as well as support in adhering to the regulations that apply to their business. Up-to-date free advice on the topics of tax, finances and accounting is regularly published on the blog, and there is also online interaction with site visitors through questions and answers. If you want to receive information from RNIDS, please subscribe to our newsletter!